Matlab. I applied interpolation technique to the spectral peak based on fundamental frequency after FFT was taken. 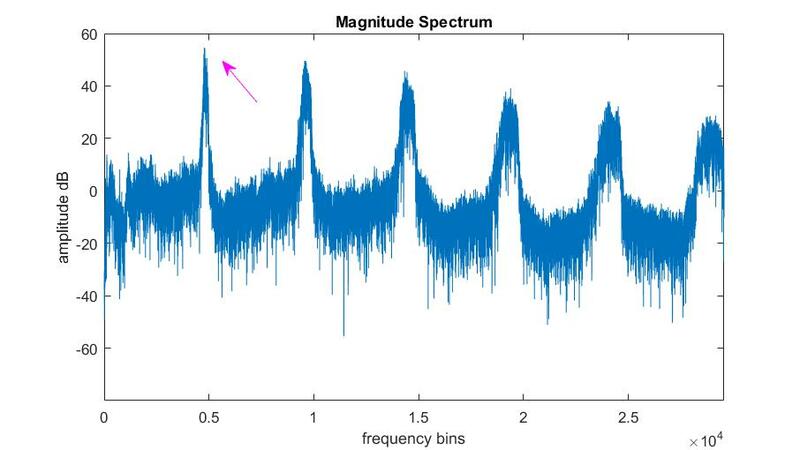 It is basically to find a better estimation of the peak by using the max spectral bin (of fundamental), its left and right bins with parabola equation. In other words, it is to fit a parabola onto those frequency bins. I used a strings fragment to test. Sometimes, first and/or second harmonic peaks might be higher than the fundamental. That’s why, I implemented the fundamental frequency finding stage at first. In this audio file, the max peak shows 1161.09 Hz. After interpolation, it shows 1161.11 Hz.